Careerbuilder Challenge... Not What The Name Suggests. We’ll admit it, when we first learned of the Careerbuilder Challenge we figured this event was a celebrated job fair (whoops). 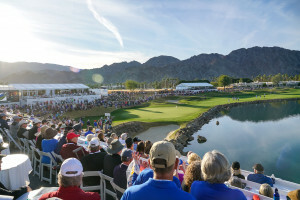 Before you click away from this event thinking it’s nothing more than a career hunter’s convention, know that the Careerbuilder Challenge is actually a professional golf tournament played each January in California's Coachella Valley. 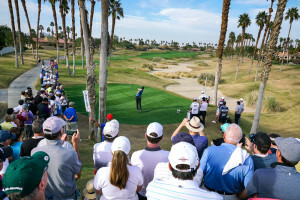 Why Head To The Careerbuilder Challenge? The annual golf tournament was once known as the Bob Hope Classic back when hosted by Bob Hope and today is one of the most prestigious golfing events to take place in the United States. Part of the PGA’s tour, the Careerbuilder Challenge is known for its celebrity-heavy program bringing together the creme de la creme of the golfing world. If you’re a golfer, golf fanatic or simply like being in the presence of athletic glory, the Careerbuilder Challenge offers full week tickets that give you access to all tournament and spectator events. Sure, the Careerbuilder Challenge isn’t actually for career builders but it’s something far better (not to mention more exciting); an excuse to gather with fellow golf enthusiasts in beautiful, sunny California. Attend one of the most prestigious golfing events in the world. See golf stars and celebrities in the flesh. Gather with fellow golf-lovers for a relaxing week in sunny California.